There’s arguably no fashion staple as versatile as jeans. Not only can a pair be worn with anything from a tuxedo jacket to a hoodie to a fully ruffled dress, but the silhouette options on the market right now are endless. Invisible jeans? Ones that snap off into short shorts? Done and done. But for New York brand Veronica Beard, the introduction of its debut denim collection called for what it considers to be the most classic: skinnies. “We wanted to focus on what we are wearing every day–there are so many styles that we love, but we keep coming back to a skinny jean,” says co-founder Veronica Swanson Beard, in reference to the brand’s denim launch. “We went with two rises—a 10-inch high rise and an 8.5-inch midrise–because these are the most flattering.” Along with fellow co-founder Veronica Miele Beard (they’re sisters-in-law), the two launched the collection on their site today. Furthermore, while the Veronicas spent tons of time perfecting the fit and fabric—“to find something that wouldn’t stretch out, that would hold its shape, and of course make you look really good,” says Veronica S. Beard—another special feature can be found right on the waistband of each pair. “We added a hidden skinny pocket in the front that creates a really flattering slimming effect at the waist.” Consider it a little extra incentive for those who desire an hourglass silhouette. Scroll down for a look at the all-new styles, available today. 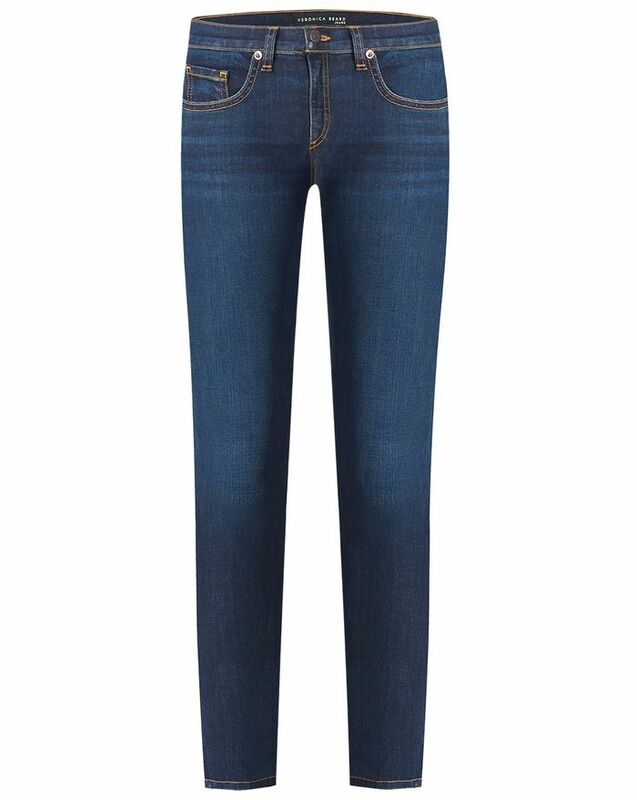 Skinny jeans as classic and as versatile as they come. Just the slightest flare is all you need. We love the exposed buttons on this pair. A raw hemline gives your denim a slightly less polished, lived-in vibe. And for the most adventurous denim lovers, a tuxedo stripe for, you know, fancier occasions. Up next: Take a look at the laid-back jeans-and-sneakers combination you’ll want to try next.